Brick Tamland might have an IQ of 48, but that doesn't mean he can't forecast San Diego's weather right along with the best of them! After all, he gets his predictions right just about as much as any other weatherman… that is, not very much. But he’s pretty adorable when he’s on TV, so you can’t really get too upset with him. Just be careful around him when he’s angry. It doesn’t happen very much, but when it does… make sure you’re not within throwing distance of any trident. Take to the airwaves of KVWN Channel 4 when you go in this official Anchorman Brick Tamland kit. 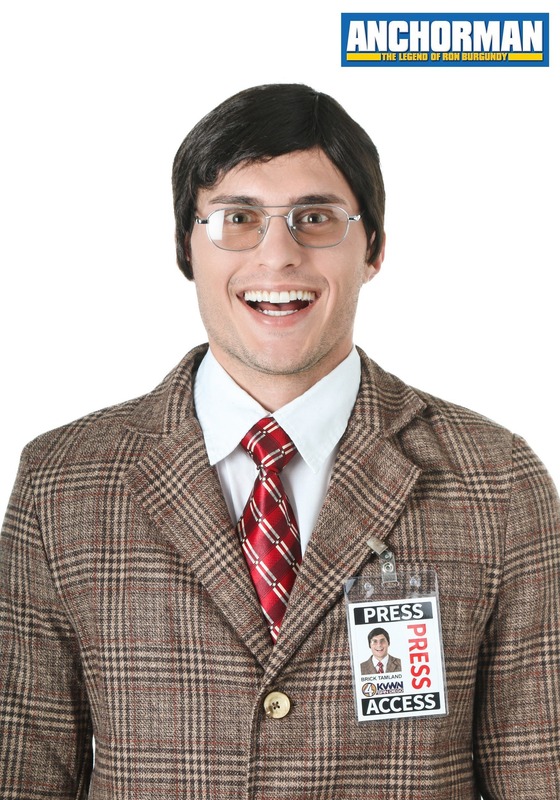 It comes with silver glasses, a press badge in a plastic holder with a clip, and a synthetic black wig. You’ll be ready to (incorrectly) predict California’s forecast in no time!